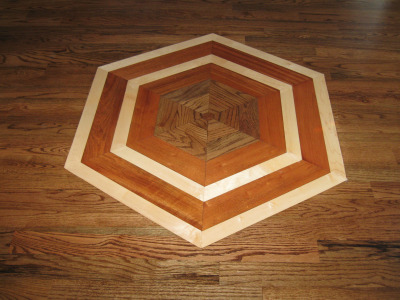 BD Hardwood Floors, Specializes in hardwood floor installation, hardwood floor refinishing, repairs, as well as custom and exotic hardwood floors. We pride ourselves on offering very high quality hardwood flooring, and high quality hardwood flooring services at very competitive rates. We bring years of experience to the table, as well as maintaining High Standards, Strong Work Ethics, Reliability and High Quality BD Hardwood Floors is not like other companies. We are a family-owned company bound together by our commitment and dedication to quality. We believe in the value of our work. BD Hardwood Floors empowers our crew through a shared vision, focusing on quality and completion of work in a timely manner. We go above and beyond to please our customers. 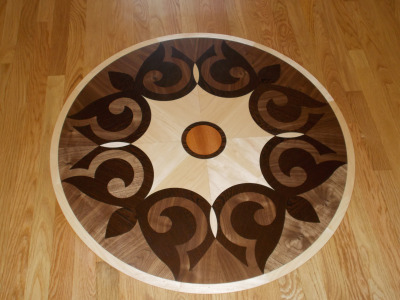 as well as new and exotic wood flooring, border and medallion applications, we seek to challenge your ideas and dreams with our ability to fulfill the vision of your project. Our reputation for quality dates back to 1997. Since that time we have been recognized for our excellence of workmanship and extraordinary customer service. 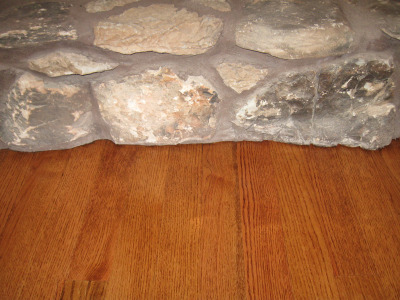 BD Hardwood Floors established in Itasca, Illinois in 1997, is a full service residential hardwood flooring company. 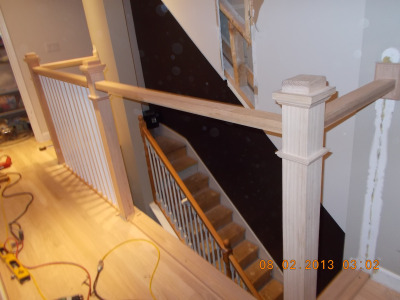 We work with new construction as well as exiting homes in the greater Chicago metropolitan area. Our entire organization is dedicated to quality service and customer satisfaction. What is Quarter Sawn Lumber. Overall, my experience with Bogden and the outcome of his work was nothing short of fantastic and professional. 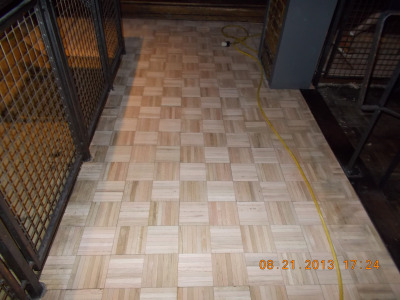 He made our floors look better than the original floor and also made the process enjoyable and comforting. I would hands down hire him again and have already recommended him to many other people. 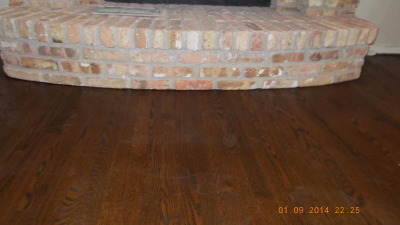 BD Hardwood Floors came in and beautifully refinished an old family room floor. They were professional, neat, and thorough. I have already recommended BD Hardwood Floors to others. I will definitely use them again when I&apos;m ready to refinish additional floors. 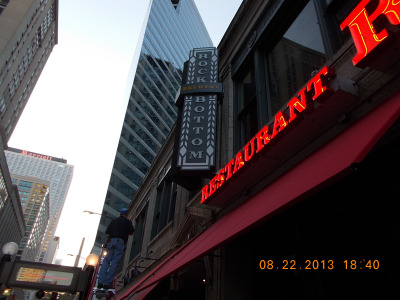 New installation and refinished -- both beautifully done! Old world style craftsmanship. Bogey and his crew put in new 4" hardwood flooring in 3/4 of the first floor of our home, then sanded and finished the remaining family room, which already had a 20 year old pre-finished hardwood floor. These guys give meticulous care to detail and the results are gorgeous! I would recommend them in a heartbeat. Re-finished part of the house and installed new wood floors in kitchen and family room. Beautiful craftsmanship. Went with a walnut stain, Gorgeous, gorgeous, gorgeous!!! Would definitely use them again! BD installed our Brazilian Cherry hardwood floors ten years ago and refinished them today. Our floors are gorgeous! Bogdan and his son are excellent at their work and take great pride. 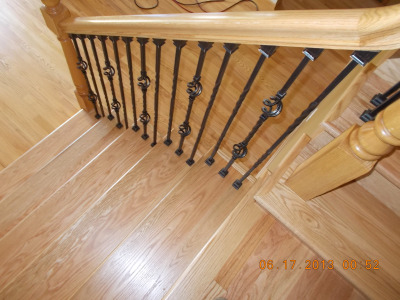 The costs are competitive and the workmanship is outstanding! As a contractor I rely on professional, quality work from companies I use. Bogdan was all this and then some. He&apos;ll be my guy now and I suggest you do the same. 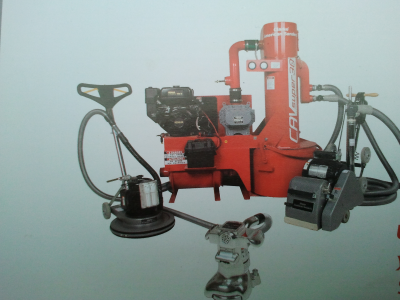 Clean, professional, quality driven and affordable. Bo just installed hardwood floors throughout my house. He is very skilled and dedicated. He went the extra mile by 1) removing old linoleum/underlayment where we did not expect it; 2) Removing the banister in order to get the entire stair tread; and 3) making the transitions seamless. He also installed 5 1/4 inch baseboard moulding/shoe throughout my house although another hardwood installer wanted me to hire a carpenter because he would only install 4 inch moulding. His prices are very reasonable. I HIGHLY recommend him for any hardwood floor and moulding project. He is fantastic! It was really tight to schedule refinishing floor due to the moving date, but Bo scheduled his work for us. The floor was maple wood and had dog scratchs on everywhere, however, the floor has changed to beutiful and nice with flawless after refinishing. Thank you for his professional and diligently work. I am so stisfied my refinised floor. I will contact you again when I need recoat for my floor later. I called few flooring contractors. BD HARDWOOD FLOORS first was on time and very knowledgeable.I got so much information about flooring after meeting with BOGDAN. I picked BD HARDWOOD FLOORS even his estimate was higher than others He is a true craftsmanship from the start to the end. Very detailed,flooring for Bogdan is lust for life,does not take any short cuts. Now I have beautiful herringbone floor with medallion . 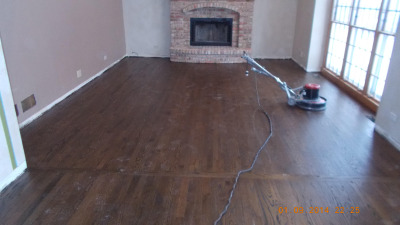 BD HARDWOOD FLOORS using high tech equipment dustless and dust free sanding. Excellent Job Bo. Bogdon is polite, honest and completes work in a timely fashion. High quality work, service and materials. I had my living room and hallway done. The results are awesome! Would recommend him always! Mr. Bogdan Domagala is a very nice and polite hard working man (along with his helper) who finished my floors today. These floors were in very bad shape with chemical stains and cuts in the wood. 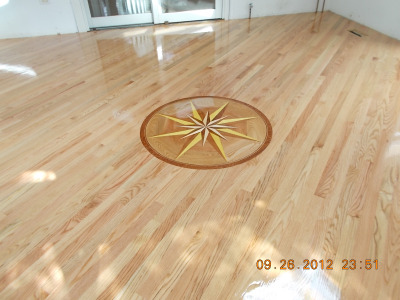 He was able to sand the stains and cuts out and made the floors look brand new. I high recommend him to do your flooring. Thank you very much Dogdan. Call him today! 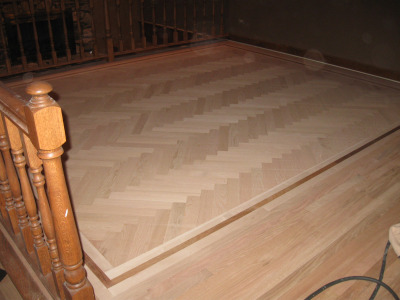 Bogdan just finished the third job for our family, installing and refinishing our floors. We found him to be very professional, reliable, and reasonable. The best part was that it was dust-free. Bogdan is a true professional who takes the time to get the job done beautifully. I highly recommend him and am thrilled with my new floors and stairs. Thank you Bogdan! BD hardwood was a great choice to install the hardwood floors in my new house. Bogdan was able to answer all my questions and concerns. He assured me that the job would be done perfectly, and it was perfect. I will definitely use BD Hardwood for my future projects and I recommend them to anyone who wants a reliable company to install hardwood floors. Bogdan and his crew were outstanding. Always prompt, curteous, knowledgeable and inventive. Offered great advice and top-notch service. Our new floor was laid down beautifully and finished gorgeously. I would recommend them to anybody! Bogdan worked hard to complete our flooring renovation on a tight timeline to accommodate our move. He was very focused on details and took extra time to ensure that cuts were just right. He explained the steps involved and made sure all our questions were answered. Bogdan takes pride in his work and it shows. Our floors look great! I would definitely recommend him to a friend. We recently replaced an old maple floor, as part of a kitchen redesign project in our 1916 home. Bo was highly recommended by our contractor and we were thrilled with his professionalism, craftsmanship, and work ethic. The new oak floor looks incredible. 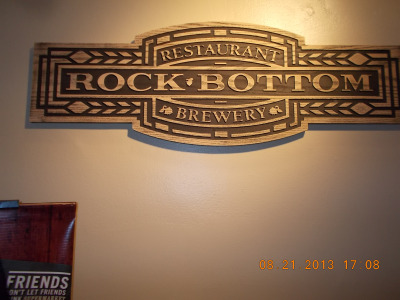 Bo suggested some small finishing touches that were quite inexpensive, but really made a difference. Although he already had a full schedule, Bo spent many hours at our house over the final weekend, so the work would be done when we were out of town. If you are looking for high quality at fair prices from a family-oriented tradesman, I highly recommend Bo at B D Hardwood Floors! Bo and Danny are on top of their game. They were the first contractor I have ever contracted and I was not dissapointed. 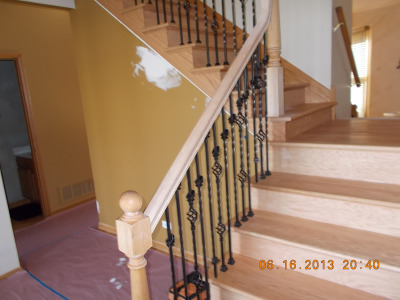 BD Hardwood I&apos;d a professional outfit that will get the job done on time and in budget. I would trust no other contractor in my own home. Bogdan is a true professional and his knowledge and experience show through in his work. The floors look great and it was done quicker than expected. I can certainly see why he gets all the glowing reviews that you read about him and his company- truly a job well done from start to finish!!!! Mr. Domagala was very accommodating with my work schedule. He also was early or on time and was never late. 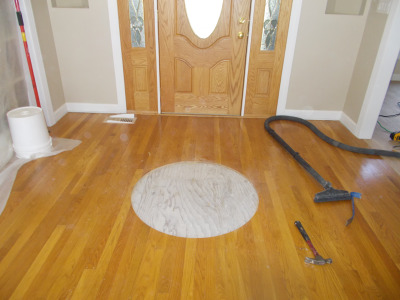 Mr. Domagala was able to tear all three carpets out of the bedrooms and replace them with beautiful hardwood floors. Mr. Domagala was very neat with clean up and made sure to be extra careful around walls and existing hardwood floors. Mr. Domagala also was able to match the new hardwood floor color to the existing hardwood floors even though I was unable to provide him with information or color of the floor. Mr. Domagala is a true professional and his work will prove it. I am very satisfied with his work and would definitely recommend him to friends and family. Bogdan was easy to work with and did a great job. My wood floors are 45 years old and have been covered with carpet for many years. When I removed the carpet, the wood floors had a yellow color to them. After refinishing them, they look as good as new. Bogdan did a great job! Bogdan was extremely professional and did an AWESOME job. He was also very reliable and easy to work with. We felt he did the job as if it was his own home. I would highly recommend BD flooring. I actually had the original hardwood floors in my house refinished back in July 2013 and could not be happier with the results. They are still looking amazing. My floors were very beat up after many years of being under carpet with numerous stains, a couple of broken boards as well as an extremely poor attempt at refinishing that was probably done a few of decades earlier. 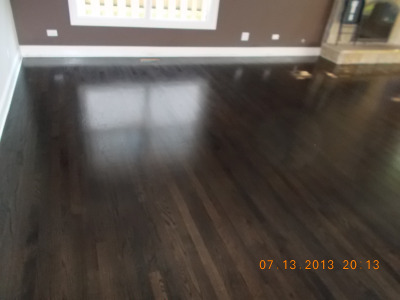 BD Hardwood Floors did an amazing job evening out the floors and evenly applying the darker stain that we chose. Additionally, as someone that usually does most of the work on my own home, I am an extremely high maintenance customer and difficult to please. Bogdan did a great job of explaining everything to me and making sure that I was pleased with the work at each step in the process. He was also very courteous of my home and, to my wife’s delight, kept the dust to a minimum. I would (and have) highly recommend BD Hardwood Floors to all of my friends. 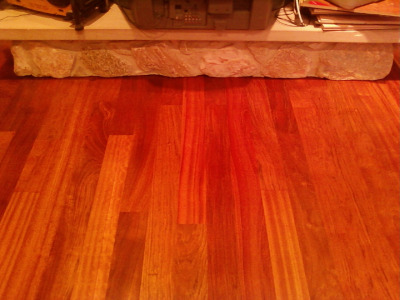 Bogdan repaired and refinished hardwood floors in a property that I own and rent. 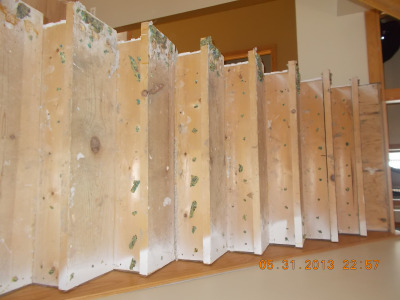 The last tenant had destroyed portions of the bedroom and living room floors. After Bogdan completed the project, you could not tell any damage had ever been done all replaced boards looked original to the home. My husband and I are incredibly pleased. Great craftsmanship and price, do not pass this company up! So pleased with the work that was done. The time frame was very professional, as well as neat. My floor turned out exactly the way I wanted it to be, and beyond.The quality of the work done to the floor is unbelievable. I would strongly recommend BD Hardwood Flooring to anyone! Just had BD Hardwood Floors restore 5 rooms in my older home. Worked diretly with Bogden. He answered all my calls and was always willing to accomodate my restoration schedule. Friendly and experiened. Floors look great. I would definitely use BD Hardwood again. 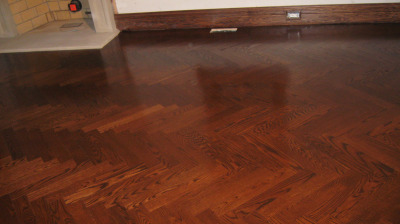 Bogdan just got done with my wood floors, could not have asked for a better job. He was very professional and honest! Told me the start and completion date and was on schedule.will recommend to other who ask and will definitely use him on the next project! Bogdan is a magician. I have pre-finished wood floors, but solid oak. Two other contractors said they could not be re-done, maybe they didn&apos;t have the tools or expertise to do this BD Hardwood was referred to me by another flooring contractor and he came right out to look. The job took almost three days and he got that annoying micro-bevel out between the boards! I have real, beautifully finished oak floors now! We own a rental property and the tenants had a cat who damaged the finish on our hardwood floors in the kitchen. We needed to get the floor repaired before the new tenants could move in. Bogdan was very accommodating in terms of working with me as the landlord, someone who wasn&apos;t always at the property. He was on time and did what he said he would do. The floor was amazing when he was finished! Absolutely gorgeous. Thank you so much! Bogdan and Danny came to refinish my prefinished hardwood floors and they look amazing. I like them even more than I liked the original floor. They were on time everyday and did what they said they would do. I would definitely, and have already told other people about them! Thank you for making the process easy. When I come down the stairs in the morning, a big smile comes across my face as I look over the beautiful wood floors in our living room, dining room and family room no matter what the weather is outside or work deadlines that I have for the day. Fantastic job refinishing my first floor! Professional and easy to work with. Part of the floor was different from the bulk of it. And they did a great job getting all of it to match. Thank you! We just moved to a new home and wanted our staircase,landing and family room redone. I called several companies to get estimates. At the last minute I found Bd Hardwood Floors online and the reviews were excellent so I called. Bogdan came out the next day to measure and give us a quote. He was so personable and knowledgeable I was hoping his price was affordable. He was willing to work with our budget and he started the next week! He and Danny were on time every day and worked so hard to get the job done. He made it accessible for us to get around each night. He explained things as he completed them. It was amazing to see the progress each night! The floors look amazing and I am in love with our new railing and staircase! 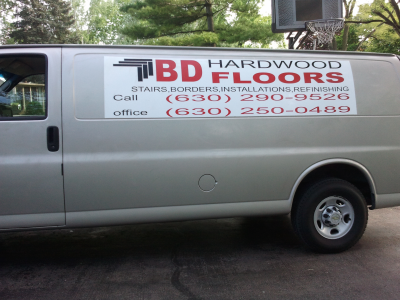 I would not hesitate to call BD Hardwood to get the job done! I would recommend them to anyone! I&apos;m sure we will be using them again as we continue the process of updating our new home! They even used a picture of our railing(the one with the metal balusters) in the gallery!!! Bo did a fantastic job! He came the same day that I called for the estimate and was willing to come the next day to stain my floor. The color match was spot on, and even the other service men I had in my home commented on his work. I was so pleased with his service and attitude and recommend him highly! Thank you so much, Bo! 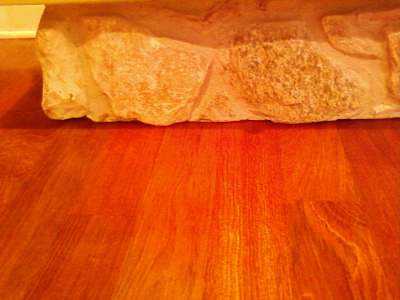 I recently had my wood floors sanded and refinished by BD and I am very happy with the results. Bogdan had suggested a little darker stain for my floors to contrast my light wood cabinets and he got it right. His eye for detail and his amazing talents with wood make him a true craftsman of the trade. I highly recommend him for any work involving wood flooring and would use him again in a minute. 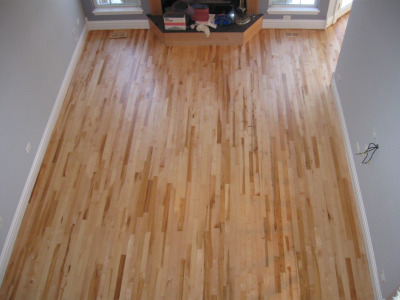 I called Bogdan to do hardwood floors in my second home because I was so happy with the floors in my first home. I had them for 8 years in my first home and they were still nearly perfect. I would highly recommend BD hardwood to anyone looking for floors. Bogdan and all of his associates are fantastic! BD sanded and finished our floors. He was very professional, timely, and affordable and he did great work. He will be my first recommendation for anyone looking for flooring. 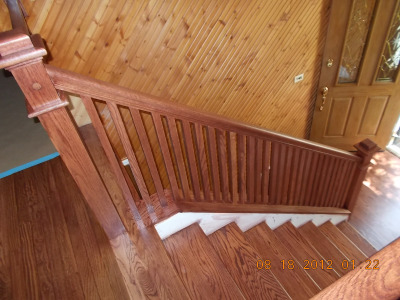 We used BDHardwood Floors to have our floors sanded and finished, and to put down new hardwood in our 2nd floor hallway including new hardwood stairs (We used to have carpeted stairs). We couldn&apos;t be happier with the results. The work Bogdan and Dany did was impeccable, on time, and within budget. The work was fantastic. Our floors are gorgeous. Bogdan was helping us figure out the best choices to make with our flooring. 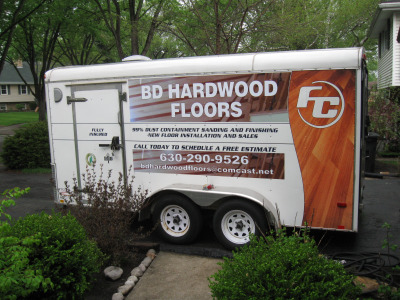 We will recommend BD Hardwood Floors to anyone I knew who needs a flooring contractor. 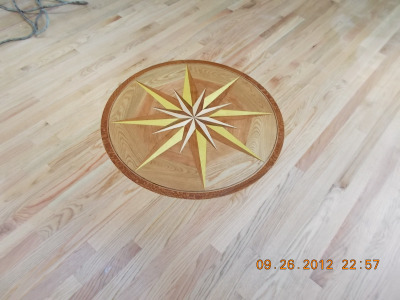 Don&apos;t waste your time to look any other hardwood flooring contractor.Go with BD you will be happy for the end result. Bo was awesome. Very professional, very concerned with his craft. He is like an artist, and takes the time to do a great job. Always on time, always making sure we were happy with the product. Highly recommended! I have been in the remodeling industry in and out my entire life and I have never met such a skilled and hospital craftsman til date. Bogdan has truly mastered his craft. Between helping with design ideas for our floors, and completing the work at a legitimate pace, while still making sure the quality of his work was 110%, we were truly impressed. I plan to have him back to finish the rest of our flooring, and guarantee to recommend him to anyone I know for his services. No questions but guaranteed quality! Quality & Efficiency at its BEST! I just had my wood floor done and it looks beautiful. What I liked the most about BD, is that they were highly professional with state-of-the-art equipment and very experienced. Because of their efficient process and detailed to high quality, my beautiful floor was installed and complete in 2 days!! Job well done. My wife and I are VERY pleased with the installation of our bamboo flooring. Bogdan is truly a Master Craftsman who takes pride in his work. He was always prompt, friendly, professional, and very easy to work with. 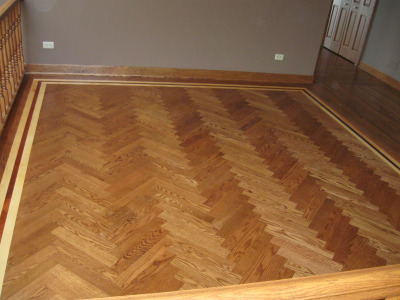 My wife and I chose Bogdan to refinish our oak floors in the short sale house we purchased in South Elgin. 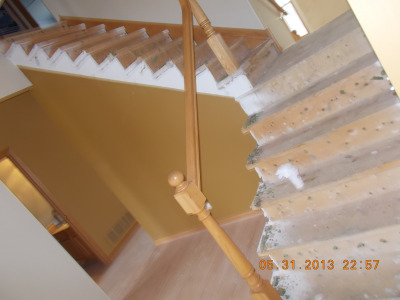 The previous family was not too kind to the place and the main floor was in need of sanding and refinishing. Bogdan came in and appeared very passionate about his work and very knowledgeable. We decided that we also wanted to have him refinish the American Cherry flooring in the office and the dining room. After he and his associate were finished we couldn&apos;t believe what a great finish was left behind. The floors look better than brand new. Another nice touch that Bogdan recommends and does is to remove the shoe molding around the areas to be done. It really makes the floors look better near the edges when he is finished. 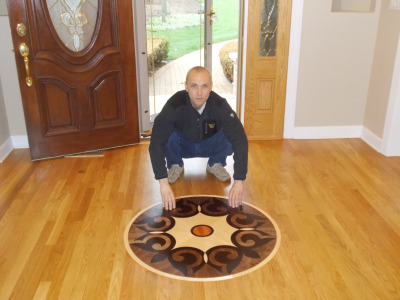 We would highly recommend Bogdan to anyone looking for a dedicated and experienced hardwood flooring installer and refinisher. 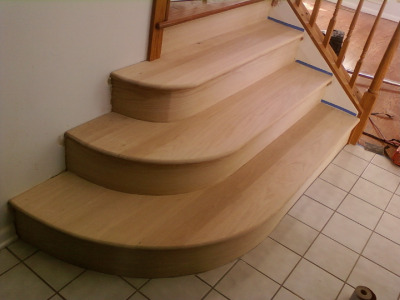 We recently contacted Bo about redoing some stairs in our house and replacing them with wood treads and risers. Bo went above our expectations and the final product looks amazing. He knows what he is doing and does a great job at it. We will be using BD Hardwood Floors again in the future. Pleasure to work with and highly recommended. Bought a old home the old hardwood was in awful shape. BD came in laid new hardwood in kitchen and dining room where there use to be Linoleum. Refinished the old wood. Where the new wood met the old you can&apos;t even tell. It looks like I had new wood laid thru the whole house. I was so amazed. What a great job and very professional and great at what he does. 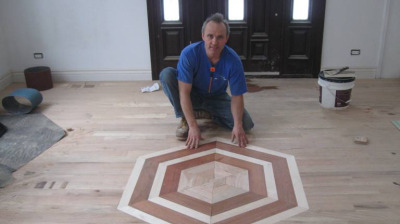 This man knows hardwood and takes pride in his work. Neighbors came saw floors and all wanted his card. So use him you won&apos;t be disappointed be it new wood or bringing your old wood to new again. He&apos;s coming next week to reseal My wood in My rental unit I have downtown. Thanks for a great job!!! BD hardwood did my mother-in-laws entire house in redwood. It came out beautiful. My mother-in-law loved it and so does the family. Wonderful job BO I have recommended you to everyone. Thank you again!!!!! 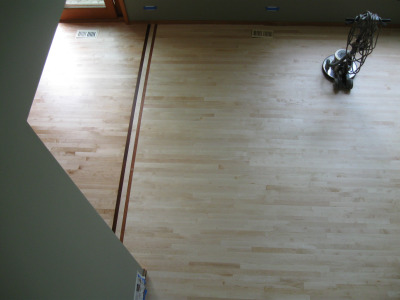 I have used BD Hardwood on several different occasions from patchwork, sanding and refinishing in my old home to installing a new hardwood floor in my new home. Bogey did an excellent job in every case. His prices are very competitive and he goes the extra mile with his attention to detail. His equipment is designed to do the job with minimal mess. He always gets my referral and his work speaks for itself. 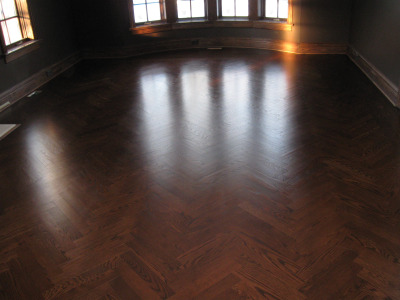 Our Salon had existing hardwood floors, they needed repair and refinishing.. We Called Bogden at BD Hardwood Floors. Right from the start I could tell he had a lot of knowledge and experience, I knew he was the right man for the job:) When the floors were done, I couldn&apos;t believe my eyes! He completely exceeded my expectations! The floors were Gorgeous!!! I have reccomended him to many friends of mine, and now I&apos;m using him for my home... If you are looking for Wood Floors, Bogden is your man!! On a scale from 1-5, he is a 10!!! best hardwood floor guy around! We had Bogdan install 1000 square feet of hardwood flooring in our house and let me tell you it looks incredible! 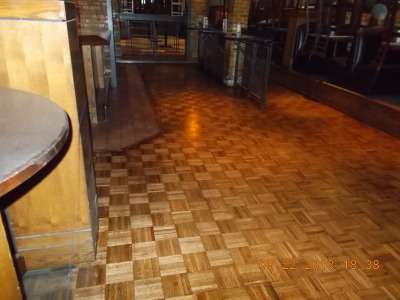 Not only was Bogdan beyond fast and efficient, the floors look better than we could have ever expected! Not to mention he got it done in three days!! Bogdans prices are to low for the exceptional work he provides! We will definitely use him again for any of are hardwood flooring needs! The Best Floor Guy Around! Bogdan put brand new hardwood floors in our entire house with great skill and care. 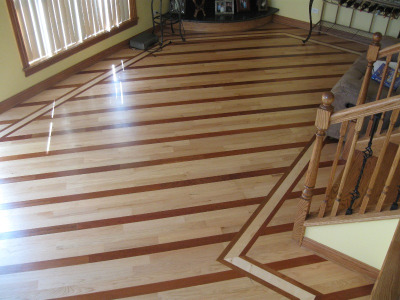 We Highly recommend B D Hardwood Floors! He is a master of his trade, very reliable, and a pleasure to work with. The service was amazing. Bogdan was very polite and professional. The floors came out outstanding. I was very impressed. There was no dust, nothing was damaged, everything was cleaned. Each time someone comes over they admire my floor. High recommended his services to everyone. my family and i are very pleased with our hardwood floor. Bogdan did a great job helping us select the right wood, and color. he was really polite and very professional throughout the time he was working. his ideas all worked well, and the outcome was very successful. he finished the floor in the time he was given for a reasonable price. My wife and I purchased a home that was in desparate need of remodeling. 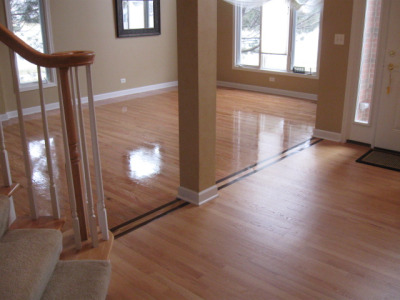 When it came to the hardwood floors, we had 3 contractors price the work. 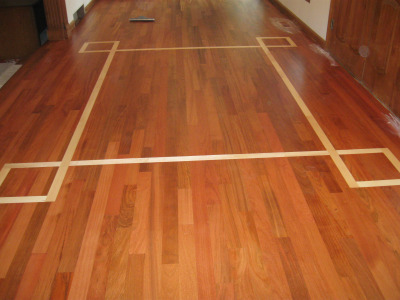 The decision to contract with BD Hardwood Floors was a simple one. When Bogi looked at the job he explained in detail what needed to be done and he took the time to understand my schedule with other work going on in the house. 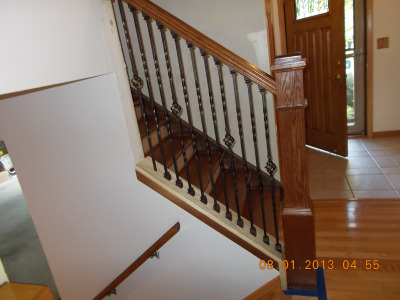 When Bogi and his crew came in, they not only did a great job on the floors, but they also took special precaution to protect the finished painting and other work that had taken place in the house. This is a great company with a great owner that not only specializes in hardwood floors, but also specializes in building customer relationships! Bogdan did a fantastic job putting in my hardwood floors. I have a fairly large house and he put his floors in everywhere. They hold up nicely and the finish is beautiful. I don&apos;t ever see myself using a different contractor. If you need your floors done fast, efficiently, and perfect call Bogdan. Guarantee you will not be disappointed. 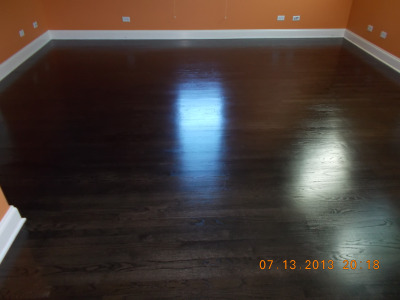 BDHardwood Floors of Itasca, IL refinished my floors and the result is better than the original flooring. Bogdan and his assistant were professional, polite, and efficient. I highly recommend their services. 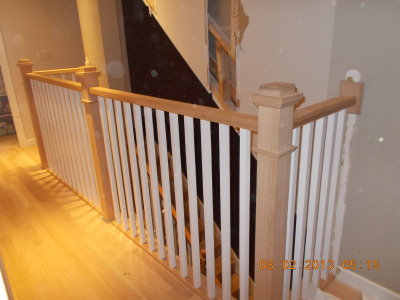 I am so happy with my living room, hallway, stairs and stair railing that I had installed by Bogdan. He also did a lovely design around my fireplace. There was no dust left over from the sanding. Bogdan was prompt and extremely professional. He was very patient as I couldn&apos;t decide on a color stain I wanted on the floors. I will definitely use him again and will pass on his name to any friends and family wanting new flooring. I am very pleased with my hardwood floor that Bogdan installed through my entire house. Bogdan was flexible, friendly and courteous. There was no cleaning afterwards, and the floors look terrific! 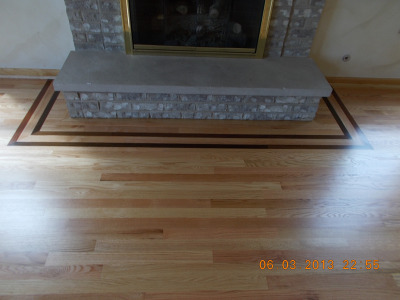 I would only use BD Hardwood Floors and highly recommend his services to all. I want to share my experience with you regarding BD Hardwood Floors and what a painless effort it was dealing with Bogdan. 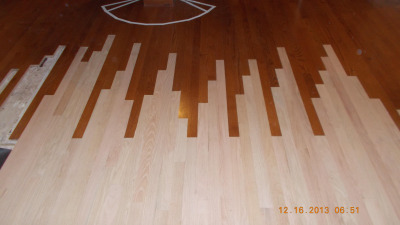 I have been remodeling homes for a long time and when it came time to do my house I would only use BD Hardwood Floors. Very courtous, friendly and clean. I would highly recommend his services to all. Bogdan was highly recommended by our neighbor. 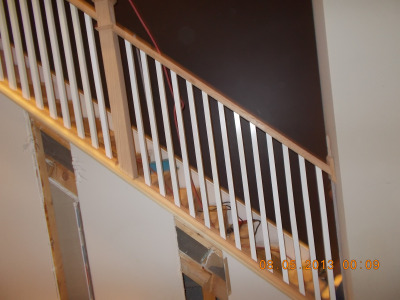 He installed the hardwood floors and staircases throughout our house. He also refinished my parents hardwood floors. His work is beautiful and he is efficient!! I worked with Bogdan several years ago and when I wanted to redo another room knew to call only him. Bogdan was prompt, efficient, hardworking and did a beautiful job. My new floor matches perfectly to the rest of my rooms. Bogdan (BD Hardwood Floors) put down hardwood floors throughout our entire house and did a great job! We highly recommend him and found doing business with him a highly enjoyable experience. Bogdan and his associate are efficient and professional. My refinished floors look better than the original. They were punctual, respectful, and the quality is superb. I highly recommend BD Hardwood Floors.